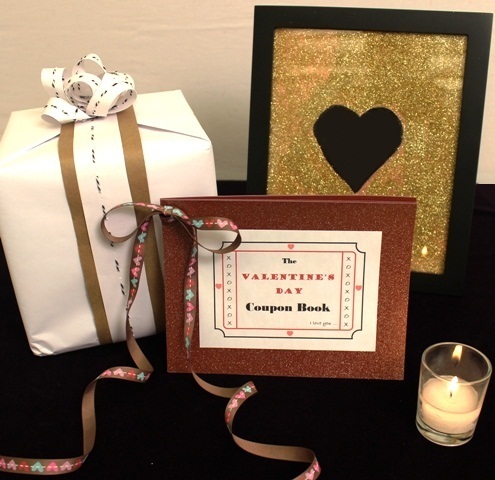 Home » How to Make a DIY Valentine’s Day Coupon Book! How to Make a DIY Valentine’s Day Coupon Book! Whether you want to add a dash of excitement to your relationship or say a big thank-you to a beloved family member, spoil your Valentine with a fun DIY coupon book. It makes a cute and practical addition to the usual Valentine’s Day flowers and chocolates, and the vouchers can be redeemed at any time … so the lovin’ can last all year long! Print out this free downloadable Valentine’s Day coupon book template onto white cardstock. Depending on how many coupons you want to give, print multiple copies of page No. 2 of the template. Cut out each coupon and the book cover along the faded outer black line. Take your red cardstock and cut out a rectangle that is slightly larger than the size of the coupon. Repeat for each coupon. Using glue, center and mount one coupon onto each piece of red cardstock. Allow the glue to dry completely. Stack your Valentine’s Day coupons face-up in any order you like, with the book cover at the top of the pile. Punch a hole at the top left corner of the booklet and loop a piece of ribbon through the hole to bind the pages of the coupon book together. Finally, give your coupon book a personal touch: Decorate the cover with glitter, feathers, candy, rhinestones … your pick! How will you use your Valentine’s Day coupons to indulge your sweetheart?